Victor Garber is a Canadian film, stage and television actor and singer. Garber is perhaps best known for playing Jesus in the film version of Godspell, Jack Bristow in the television series Alias and Thomas Andrews in James Cameron's Titanic. Other well-known appearances include Sleepless in Seattle (1993), Legally Blonde (2001), Annie (1999), and Tuck Everlasting (2002). In the late 1980s, he received an Emmy nomination for his portrayal of Liberace in the made-for-TV movie, Liberace: Behind the Music. He appeared on Broadway in the original productions of Deathtrap, Sweeney Todd, and Noises Off and in the original off-Broadway cast of Assassins, as well as in the 1990s revival of Damn Yankees. Learn more here. 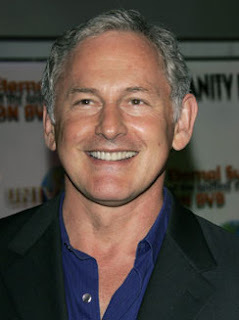 Freedom to Marry salutes Victor Garber as a Voice for Equality! Learn about other Voices for Equality here. If Ms. Garber's support inspires you - get involved. i believe the last sentence should read, "mr". garber, right?